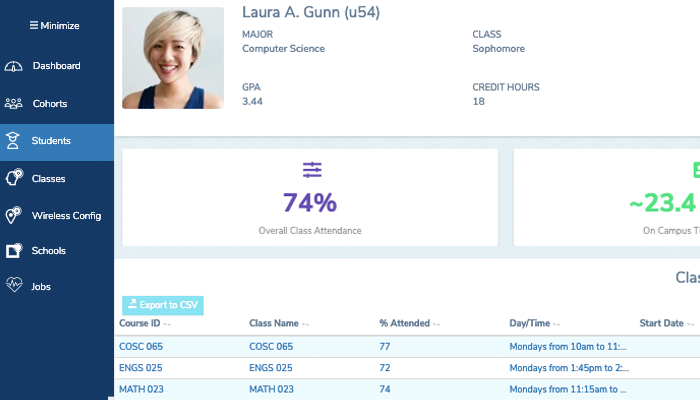 Calculate student success metrics like class attendance, on-campus time, and academic time. Then analyze which behaviors drive success. Universities struggle with student success and they are trying to use data to determine which students will succeed. The problem is they have a lot of data before students show up on campus, but once they arrive the only data they capture consistently is grades, which is very limited in how it can be used to support student success. What does the student experience actually look like? What's the difference between a successful student and an unsuccessful student? What students are going to class? How often do they miss? How are our facilities being used on campus? By who? 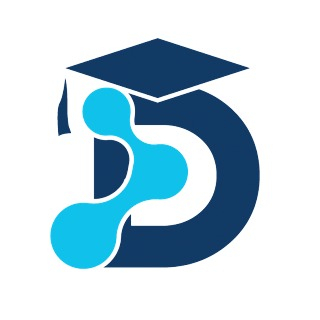 Degree Analytics calculates hundreds of student behavioral metrics through the wireless network by combining network data with data from the university's Student Information System (SIS), and then analyzing the data from a student perspective, not a hardware or space perspective. 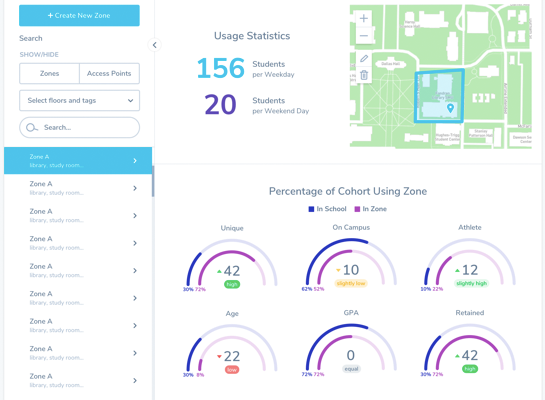 The data and analysis can be used to measure student success, create alerts for students in real-time, nudge students towards positive behaviors, measure program efficacy, and ultimately improve retention. In addition to providing software solutions and early alerts, Degree Analytics can engage from a research perspective to identify the largest areas of opportunity for a university's student success strategy. 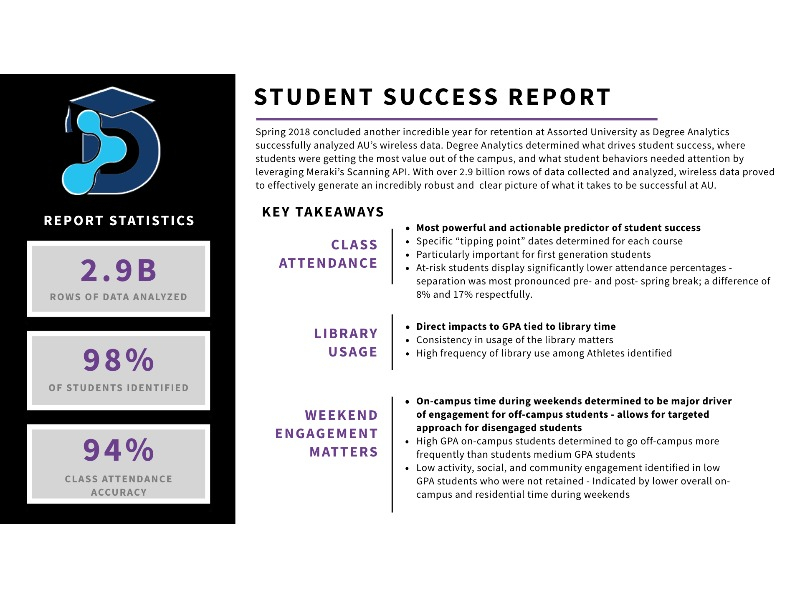 These bespoke deliverables answer the most pressing questions universities face, and leverage existing wireless data to understand student behavior and engagement. What data sources are required from implementation? For a standard implementation of network analytics, our team requires the network syslogs, network topology, and optionally a collection of data fields from the campus SIS. What departments outside of IT, do you work with? Do I need to train my team on another platform? What systems do you integrate with? 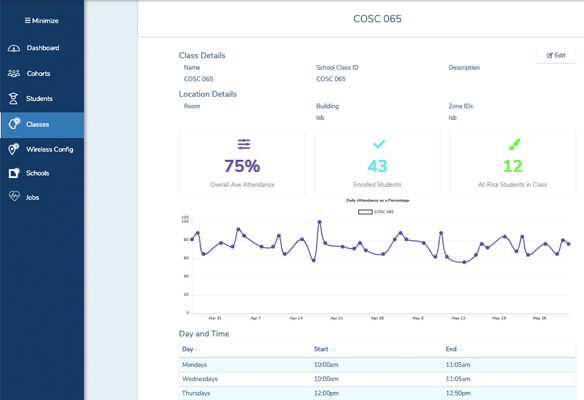 While we offer a platform that allows users to realize the full value of the network, we also integrate with any CRM, Case Management System, LMS, or Student Success Platform. If your team is suffering from “technology fatigue”, there is no need to introduce another platform.